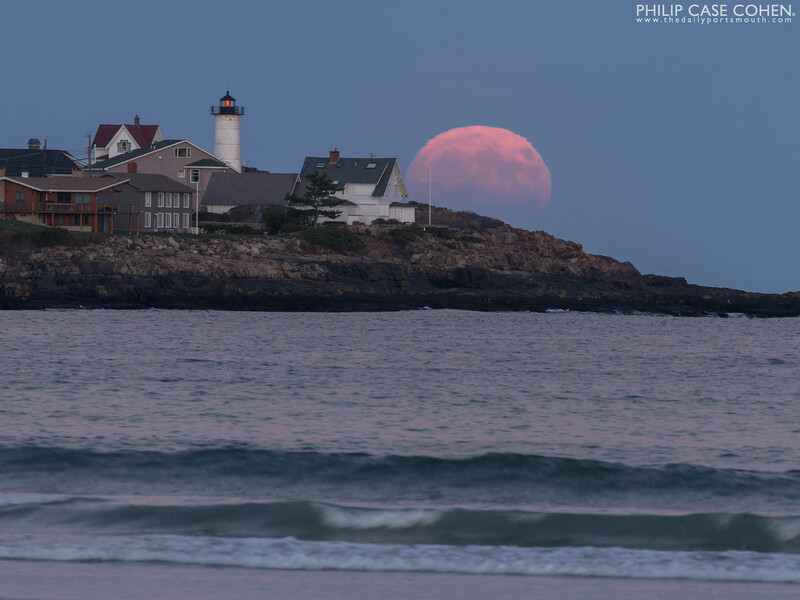 Another incredible full moon rising over the ocean and Nubble Lighthouse. I’m always one for getting up early to catch the sunrise – and I’m usually happier with the fruits of my labor. 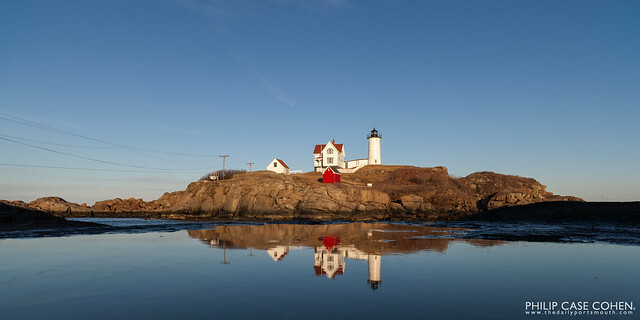 This particular morning, the sun and sky decided they didn’t want to put on much of a show, so it’s a lovely muted scene of the iconic Maine lighthouse. When we first arrived, it was cloudy and the sun was on its way up – so I figured we’d have a stunning show of color in the sky, but it was not meant to be. I’m pleased despite this, and happy I got to enjoy a part of the day I usually waste. Starting the day by watching a lighthouse and first light creep over the horizon is a good idea any day. 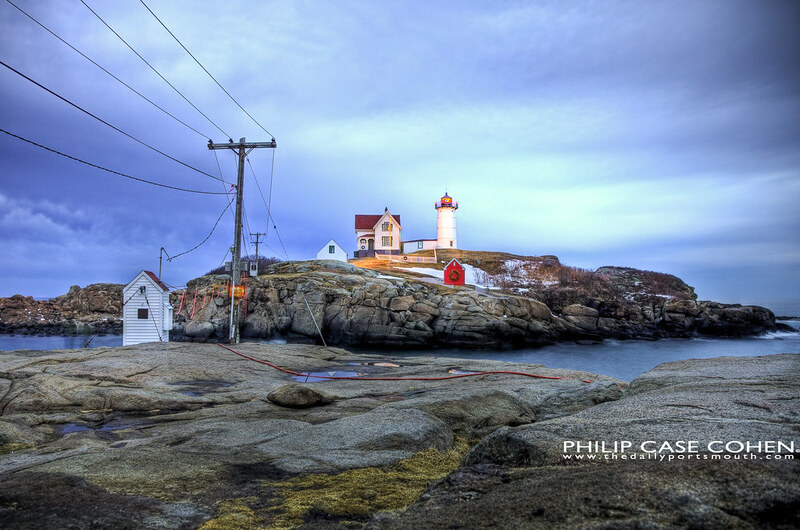 Here’s a little video I put together from the shoot we did on Friday at Nubble Lighthouse on Cape Neddick in Maine. Playing around with my 5d Mark II’s new firmware, now shooting 24 frames per second (supposed to help make it more film-like). Now I need some new lenses to sharpen the scenes. This film also commemorates the last day of winter! Keep an eye out for some seagulls doing their thing. 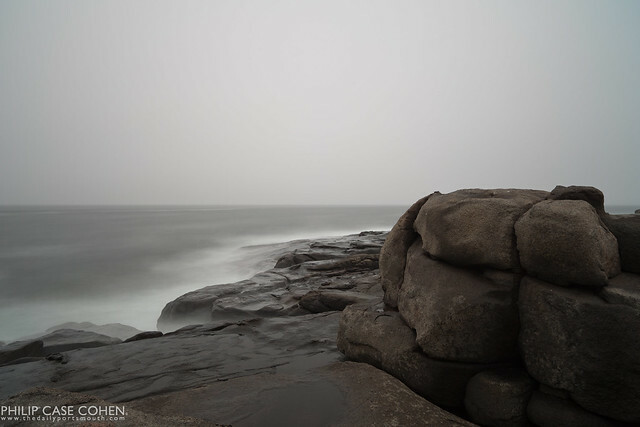 For today’s post, we head a bit north to the coast of Maine. I’m sure that Nubble Light on Cape Neddick in York, Maine is one of the most photographed places in the country. 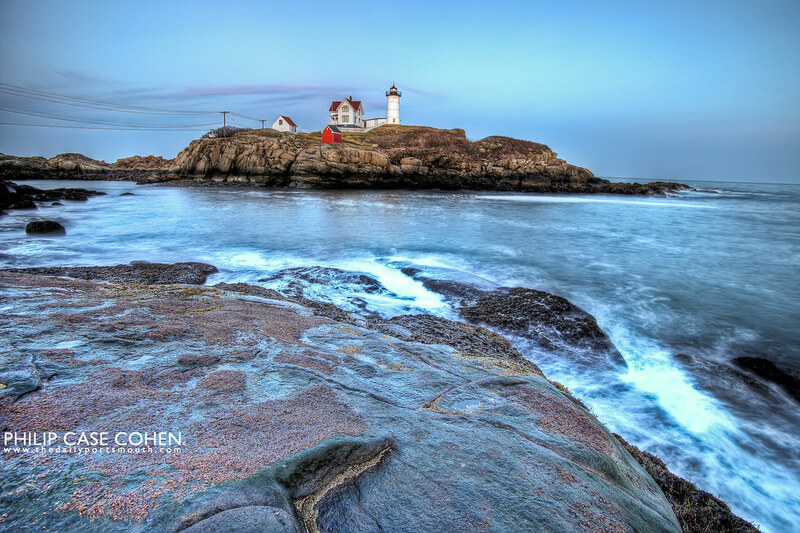 This doesn’t stop many people, including myself, from enjoying its beauty and going to shoot it anyway…the crashing waves on the rocks and the grandiose island setting of the lighthouse are incredibly appealing and make for infinite possibilities when shooting. It didn’t take much convincing for my Dad to come along and make the trip (despite the cancellation of a Friday night concert) to shoot the place he’s probably shot 50 times before. 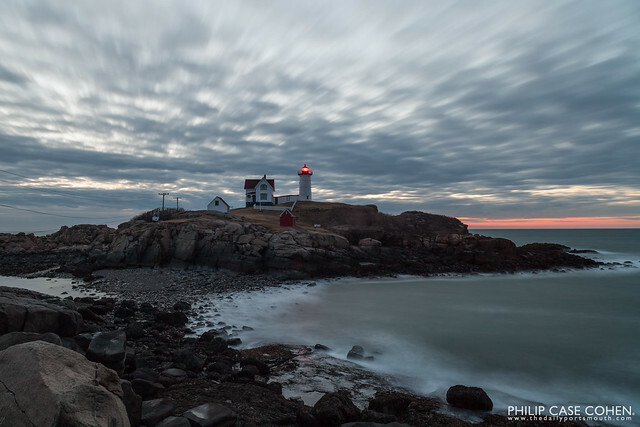 Here’s a shot from dusk, just as the sun was finishing setting on the final day of winter…which left some beautiful blue sky with natural lighting on the lighthouse…and a cooler feeling in the rest of the frame. I was lucky to bump into some new friends from Connecticut who made the trip north to go shooting all weekend – and honored me by taking a visit to the Portsmouth Art Exchange gallery to see some of my work. (and they were even daring enough to return for sunrise in the morning). Later this weekend I’ll upload a video and a link to their sunrise shots too.